Desire Blue is one of those fragrances that is temperamental - even one spritz too many can make the difference between it smelling really good and just plain obnoxious. 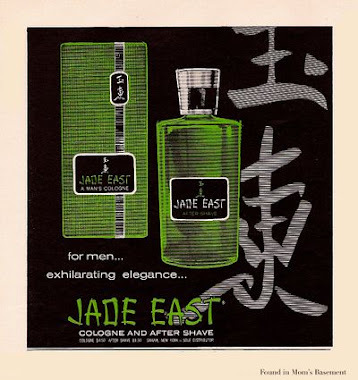 With its blue color, its heavy use of orange blossom, and a dumb name like "Desire Blue", this fragrance was one I was prepared to hate. However, I was pleasantly surprised at how good this scent really is, provided I apply it very lightly. Three sprays is more than enough for me. Desire Blue is a sillage machine. Overspray this, and you'll have to suffer through hours of the obnoxious smell of powdered laundry detergent and pool water. It's overpowering in its synthetic sweetness when it's applied too heavily, and in this state, it lives up to its "Blue" label. It is literally nauseating when it's oversprayed. Apply two or three spritzes strategically, on the other hand, and we're talking a completely different story. It's a delightful scent. 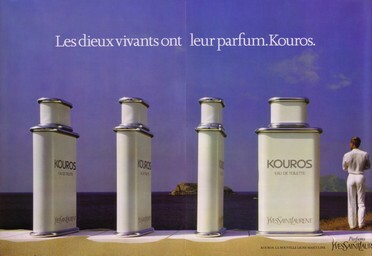 Even though I hate orange blossom, in Desire Blue it's used to create a lavender-like fougere accord, but with an accompanying glowing sweetness. It has such a bright, cheerful smell that I find impossible to resist. It's a happy scent - this is not Narciso Rodriguez For Men. Though it contains an aquatic "marine" note, I don't consider Desire Blue to be an aquatic or marine fragrance. Here, the aquatic note is handled very discreetly, and it actually makes the fragrance smell even more masculne than it would without it. 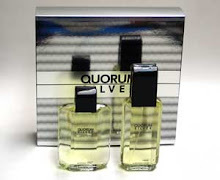 It provides a semi-greasy, aldehydic tang to the whole fragrance, which I love. One thing I've noticed in my recent samplings of perfumes with aquatic notes is that when Calone is used sparingly (as opposed to it being a dominant smell), it can give a fragrance an interesting oily texture, similar to what a leather note adds to a scent. Perry Ellis For Men (2008 release, not the 1980's version) uses Calone in this way. Desire Blue is another perfume that produces this effect really well. 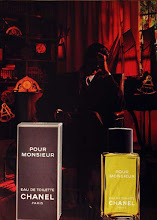 If any of you are familiar with Dunhill's original Desire For Man (in the red bottle), you'll find that Desire Blue smells very similar. Blue is a bonafide flanker of Desire For Man: it's a sweet, powdery floral fougere, but with Blue, the marine note gives the overall fragrance more transparency and lift. 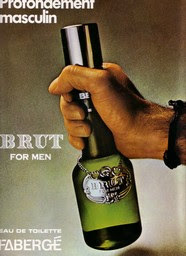 Also, it doesn't have any vanilla, resulting in a somewhat drier and lighter scent than Desire For Man. If any of what I just said sounds appealing to you, Desire Blue is a pretty safe blind purchase, since it's often sold at bargain basement prices, at least in the U.S.. I bought my big 100 ml. bottle for only ten dollars. It was well worth the small investment. 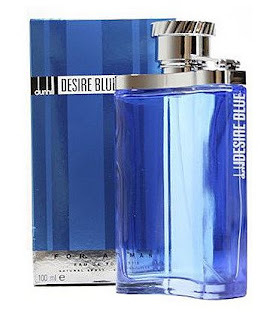 I liked Desire Blue well enough but I thought it was really boring for my tastes, but still a decent masculine smelling fragrance in a sea of aquatics and sweet aquatic hybrids.